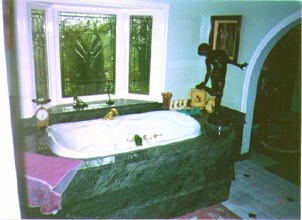 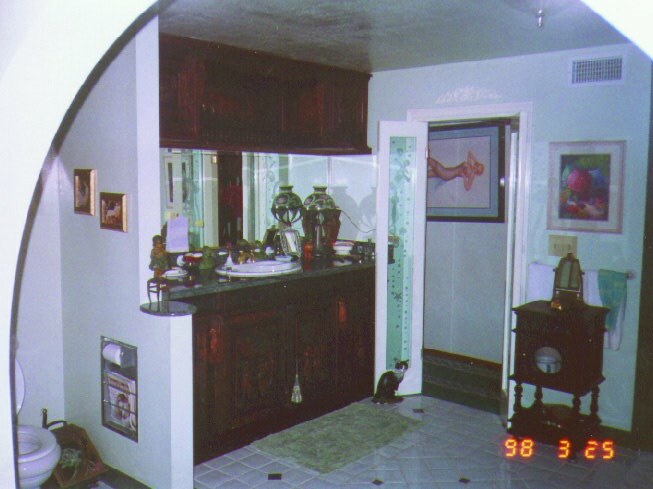 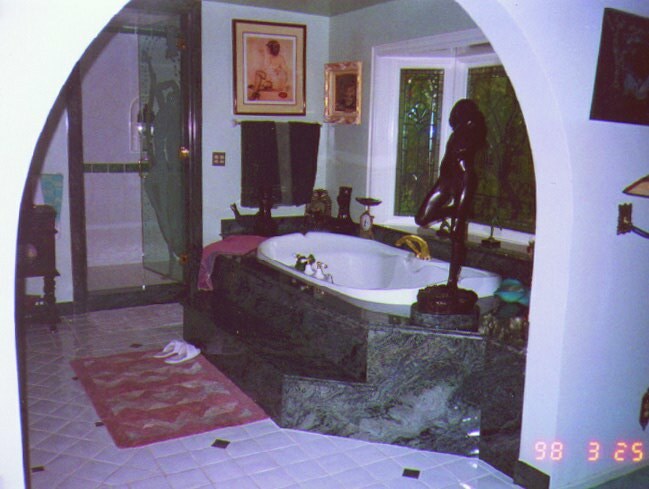 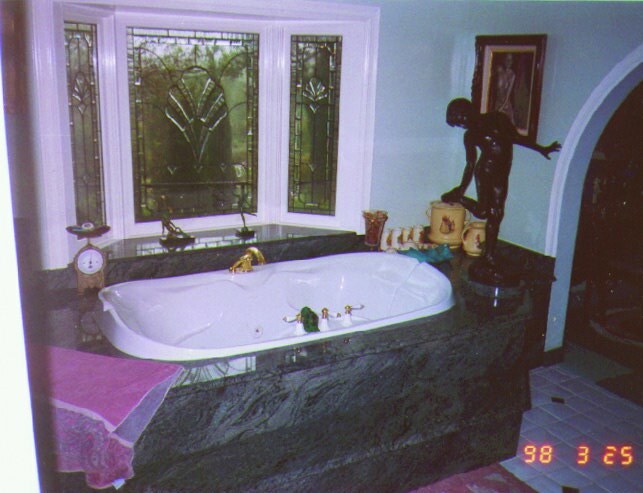 Here is a nice combination of real Granite with a tile floor and a very classy vanity cabinet. 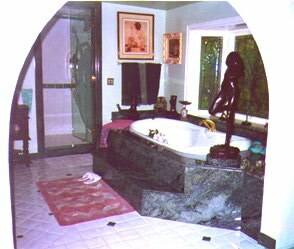 The shower door is one-inch thick tempered glass and has a full length etching. 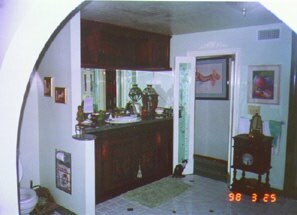 The bay window is leaded beveled glass.